Many pet carpet stain removers promise to eliminate stains and odors yet fall short when odors and stains still linger a few days after scrubbing tirelessly to get rid of pet stains and odors. 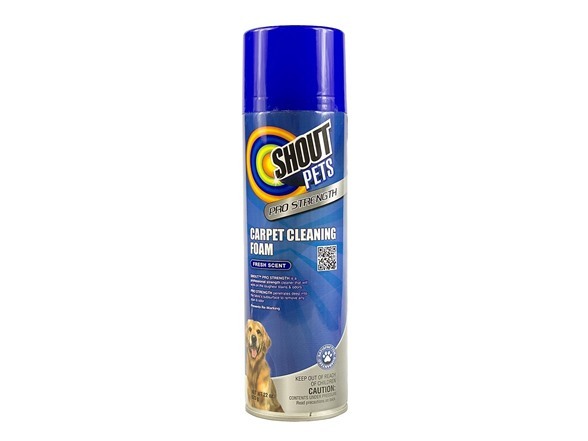 If you are looking for a pet stain and odor remover that actually works, then look no further than Shout Pets Carpet Cleaning Foam. SHOUT Turbo Oxy Foam works twice as hard as other leading oxy cleaners to remove stains & odors instantly by lifting stains and killing odor causing bacteria deep in your carpet or furniture. This foam also kills the odor causing bacteria the entices your pet to re-mark these soiled areas so you can prevent any re-marking. 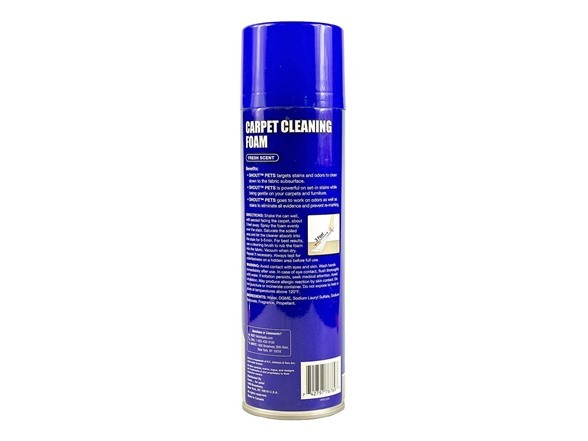 Get your Shout Pets Carpet Cleaning Foam and work less to get rid of more stains and odors.